Majestic mountains and scenery seem to inspire equally awesome creations and experiences. 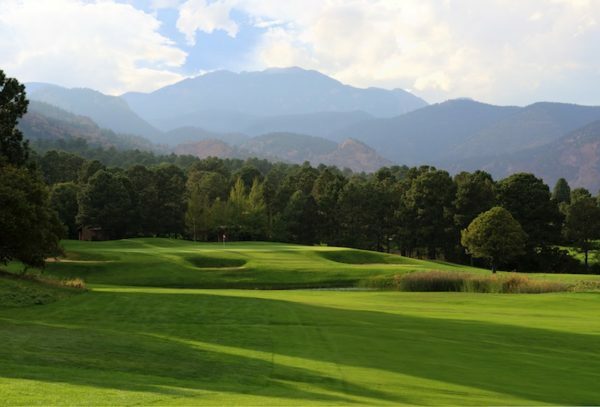 It may be the success of the Broadmoor in Colorado Springs has at least something to do with the pristine and inspiring setting in the shadow of Cheyenne Mountain. Once perceived as a summer resort, the Broadmoor has expanded to offer the same level of Colorado luxury experience in every season. And the fall tends to be a little quieter it is an excellent time to visit. For most people, the Broadmoor seems to have been around forever, yet it appears to get better every year. Renowned as a world-class hotel with arguably one of the top ten golf courses in the world, the resort has purposely mutated programs and offerings to broaden the guest experience with more aaahhhhs and ooohhhs. The original Donald Ross courses, the East and the West, have not really changed. 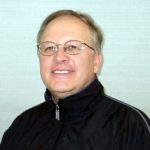 While not long by modern standards, they are tricky nonetheless with the courses following the natural contours of the foothills and terrain making most second shots an art form. The distraction is the scenic beauty lulls one to sleep and while focus is needed to reach the green. Easy to see why the USGA picked this for the Senior Open in 2018. News flash: the course never closes, and from December 15 into March, guests can play the original 11 holes for no charge. 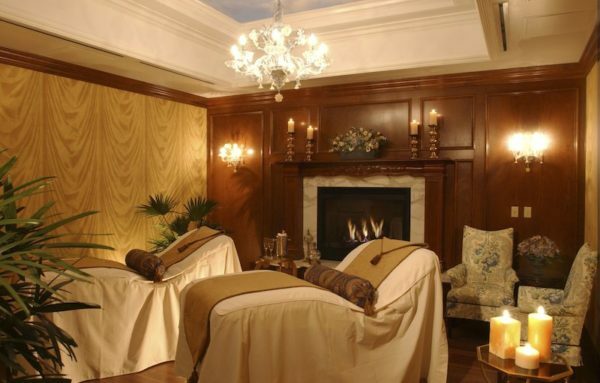 Quietly, and with spa music floating through the air, the Spa at the Broadmoor has also turned into a world-class operation that oozes relaxation and rejuvenation. Both the men’s and women’s area feature an oxygen room, which aids recovery and energy. Their signature massage might be the sleeper service as it individually adjusts Swedish, deep tissue and Shiatsu techniques for individual needs. Typically, resort food rarely lives up to the other features of the resort, yet at the Broadmoor, the 12 restaurants are extensions of their guest experience standards combined with mountain vista inspiration. The Summit is just celebrating its’ 10 year anniversary at the Broadmoor. Quite an accomplishment for the French Bistro that combines inspiration and tweaks from American originality and regional mountain-man attitude. 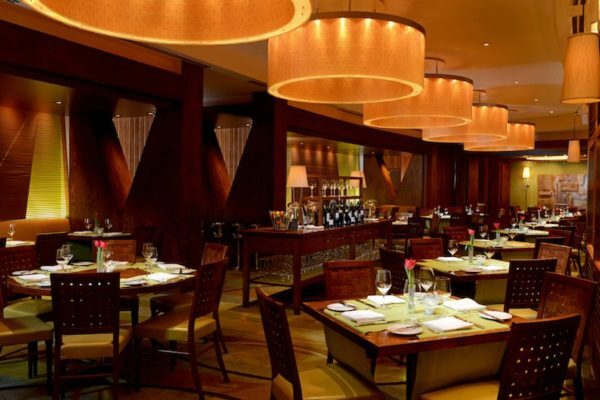 Generally, a hotel restaurant undergoes some type of major re-do every three to four years. However, Summit has stayed faithful to their roots, evidence the concept combined with the nifty furnishings have stood the restaurant test of time. Chef Musial is a master of culinary consistency with the Black Angus Hanger Steak and for those a little too calm upon their arrival from their spa experience, the Angry Trout. The Paupiettes De Porc will leave any foodie oinkn’ for seconds, and when combined with the Lobster Mac n’ Cheese provide ultimate palate comfort. The start to sweet dreams is just as impressive with the Profiterole a combination of Vanilla, Chocolate & Pistachio Ice Creams, and Chocolate Sauce. Fall and winter are usually quiet times at most resorts, yet the Broadmoor really gets deckin’ for the Holidays. Starting with the Spooktacular, and then adds a Thanksgiving Get A Way package. The ultimate may be the Classic Broadmoor Holiday. This features a stunning holiday show with Grammy winners, such as Melissa Manchester and others in the dinner/show combination. And, the Broadmoor lights just about every tree and shrub on the property, so a beautiful walk between venues.